Get some cultural insight at Temple Bar and Kilmainham Gaol. Head to Cleo Knitwear and Kevin & Howlinfor some retail therapy. There's lots more to do: stroll through St. Stephen's Green, look for gifts at DESIGNYARD, sample the fine beverages at The Old Jameson Distillery, and indulge your thirst for a good beer at Guinness Storehouse. To see other places to visit, reviews, more things to do, and more tourist information, read our Dublin online itinerary creator. If you are flying in from Brazil, the closest major airport is Dublin Airport. In December, plan for daily highs up to 9°C, and evening lows to 2°C. Cap off your sightseeing on the 7th (Wed) early enough to go by car to Kilkenny. Start off your visit on the 8th (Thu): explore the historical opulence of Kilkenny Castle, look for gifts at Kilkenny Handwrought Silver, stop by Kilkenny Design Centre Ltd, then do a tasting at Irish Whiskey Tasting Event, and finally stop by MacDonagh Junction Shopping Centre. Keep things going the next day: look for gifts at Kilkenny Crystal, indulge your thirst for a good beer at Smithwick's Experience Kilkenny, then stop by Darcys Treasures, and finally look for gifts at Kittys cabin. To see photos, other places to visit, ratings, and tourist information, use the Kilkenny vacation trip planner. You can drive from Dublin to Kilkenny in 1.5 hours. Other options are to take a bus; or take a train. In December, daily temperatures in Kilkenny can reach 10°C, while at night they dip to 5°C. Cap off your sightseeing on the 9th (Fri) early enough to go by car to Kinsale. On the 10th (Sat), steep yourself in history at Charles Fort, stop by Stone Mad Gallery, look for gifts at Aunty Nellies Sweet Shop, then stop by Kinsale Crystal, then stop by Giles Norman Photography, and finally look for gifts at Kinsale Silver. For reviews, ratings, traveler tips, and more tourist information, use the Kinsale trip itinerary builder. You can drive from Kilkenny to Kinsale in 2.5 hours. Alternatively, you can take a bus. In December, daily temperatures in Kinsale can reach 10°C, while at night they dip to 4°C. Finish your sightseeing early on the 10th (Sat) to allow enough time to drive to Dingle. Head to Strand house and Dingle Record Shopfor some retail therapy. You'll enjoy a bit of beach vacationing at Coumeenoole Beach and Inch Beach. 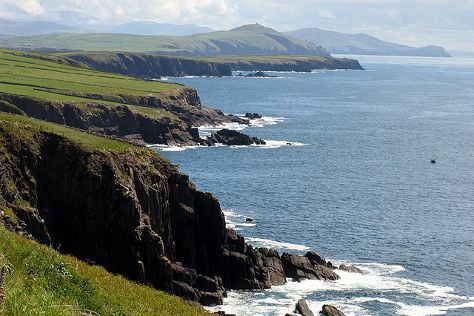 Spend the 13th (Tue) exploring the striking scenery along Slea Head Drive. There's more to do: stop by Kathleen McAuliffe. To find where to stay, ratings, other places to visit, and other tourist information, use the Dingle holiday planner. Drive from Kinsale to Dingle in 2.5 hours. Alternatively, you can take a bus; or do a combination of bus and train. In December, daily temperatures in Dingle can reach 12°C, while at night they dip to 7°C. Cap off your sightseeing on the 13th (Tue) early enough to go by car to Galway. Satisfy your inner culture vulture at Derryaun Crafts and Kirwan's Lane. Visit Lahinch Beach and Salthill Beaches for some beach relaxation. Change things up with these side-trips from Galway: Lady's Buttery Craft and Art Gallery (in Cong), Lina Stein School of Millinery (in Westport), The Celtic T Shirt Shop (in Lahinch) and Mulranny Strand (in Mulranny). There's much more to do: stop by OMG @ Zhivago, tee off at Galway Golf Club, and explore the striking landscape at Cliffs of Moher. To find where to stay, more things to do, photos, and other tourist information, you can read our Galway itinerary maker. Drive from Dingle to Galway in 3.5 hours. Alternatively, you can take a bus. Traveling from Dingle in December, expect a bit cooler with lows of 3°C in Galway.